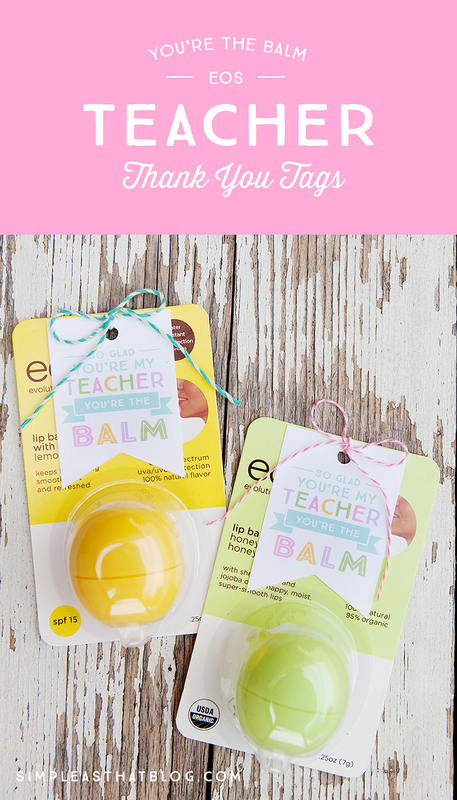 EOS You’re the Balm Teacher Thank You Tags – Teacher appreciation week is quickly approaching (May 4-8) and today I’ve joined some blogging friends to share a collection of free printables to help say thank you to the teachers that are so important in your child’s life! 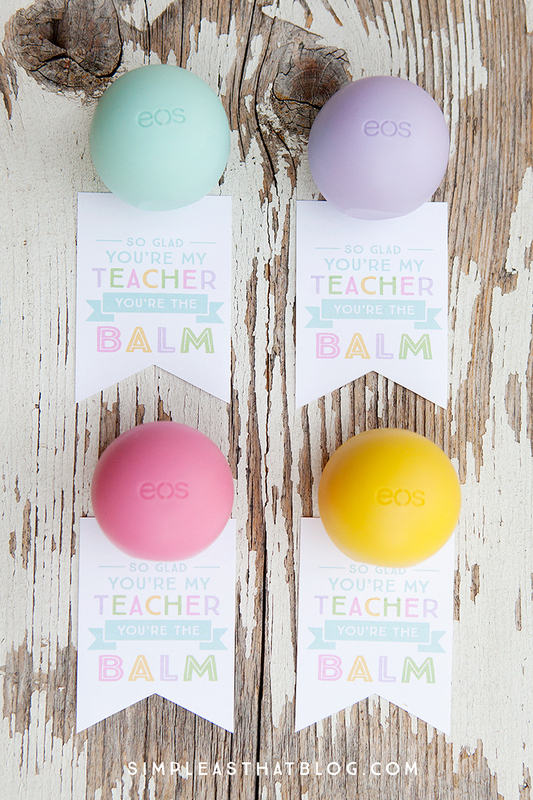 Attach one of the free printable “you’re the balm” gift tags to an EOS lip balm and you have a quick gift! You only need a handful of supplies and I’ve got the tags ready for you to download and print – can’t get much easier than this! We’ve purchased these EOS lip balms on Amazon when they were on sale, but I’ve seen a great deal on a multi-pack at Costco – there are so many fun flavors in pretty Spring colors right now! We’re obsessed with the Lemon Drop and Honeydew flavors right now! 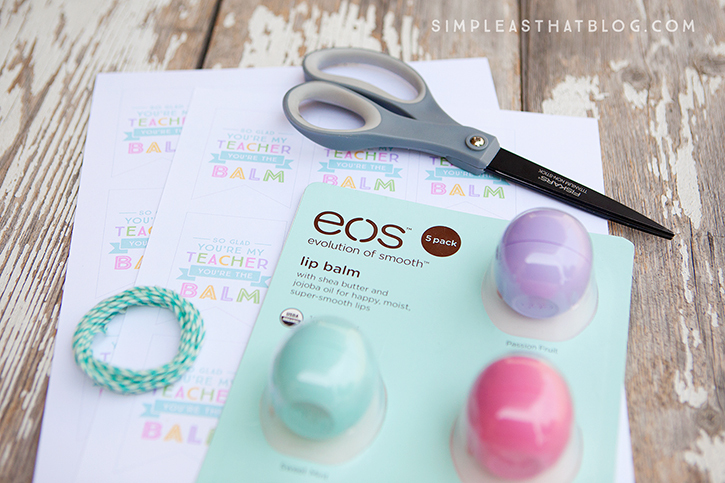 To package your EOS lip balm you can attach the tag directly to an individually packed lip balm or if you buy them in bulk, place them in a 3 3/4″ x 4″ cellophane bag and attach the tag using bakers twine. You can even turn the EOS lip balm into a cute little candy by cutting out a small piece of cellophane wrap big enough to wrap around the lip balm leaving room enough on each end to twist and wrap. Tie each end with a small piece of bakers twine. See how to do that here. 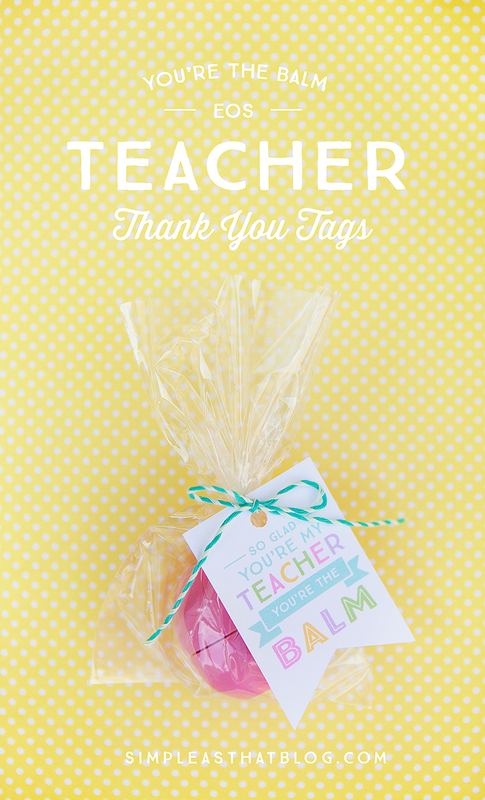 This is just a small way to say thank you to those teachers who play such an important roll in our children’s lives. 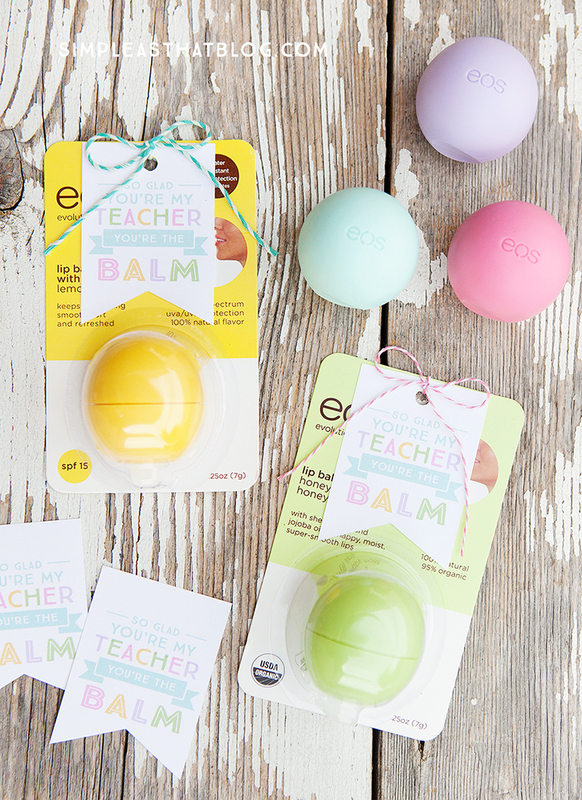 Download the EOS ‘you’re the balm’ thank you tags using the link below and keep scrolling for 3 more fun teacher appreciation ideas! Me, too! How do I get the printable to actually print?? Love the EOS idea! Thanks for the printable! I think your link for this printable is wrong. I takes me to a travel site. Thank you for the great template. Love them! I blogged about this and linked to you.